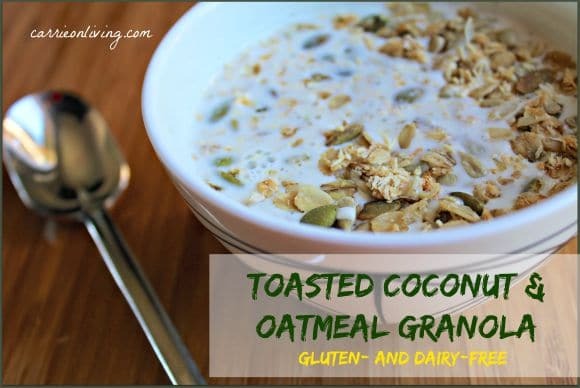 This post includes a recipe for how to make gluten-free toasted coconut and oatmeal granola. It’s a healthy and tasty breakfast! I hope you enjoyed my Ode to Green Smoothies that I posted last week, but I realize that not everyone is as gung-ho as I am about drinking green monsters in the morning. No worries, there are plenty of other health-promoting breakfast options out there, including this gluten-free Toasted Coconut & Oatmeal Granola that I’m sharing today. I went through a phase where I tried skipping breakfast, but I realized pretty quickly that I feel better when I fuel up in the mornings. 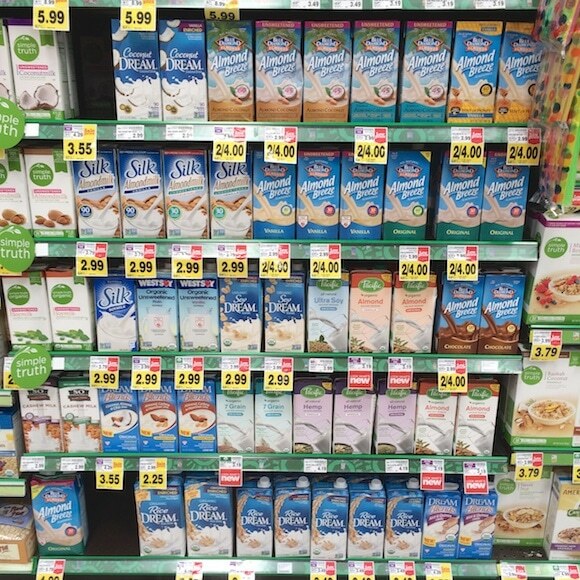 I grew up eating boxed cereals, instant breakfast drinks, and powdered donuts (noo! ), but I also know now that it is much more supportive of my health these days to create my own combos from scratch. Preheat your oven to 275°F. Line a baking sheet with parchment paper and set aside. In a large mixing bowl, combine shredded coconut, oats, pumpkin seeds, and sunflower seeds. Add the honey and coconut oil and stir well to combine. Pour the mixture onto the baking sheet and spread out into a thin layer. Bake at 275°F for one hour, stirring once to prevent burning. Lower oven temperature to 250°F and bake the granola for 45 minutes longer, checking occasionally to ensure that it does not burn. 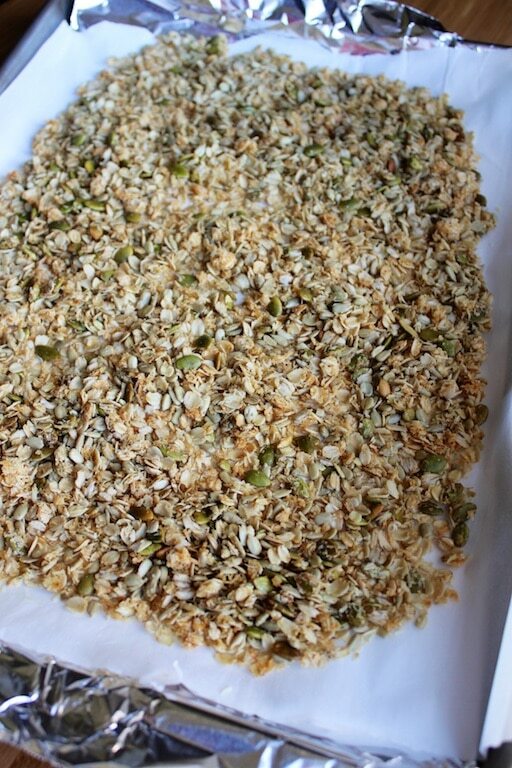 Remove the granola from the oven and let cool completely. 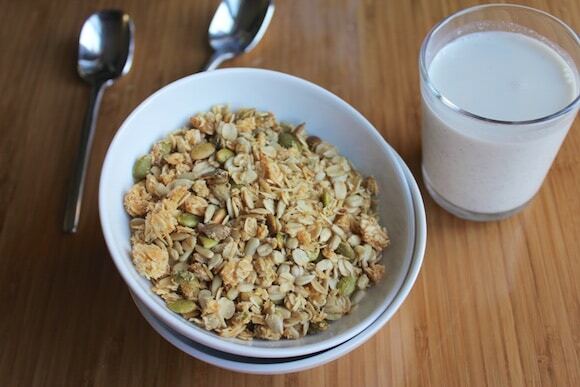 Serve with your favorite plant-based milk and store any leftover granola in the refrigerator for up to a month. This looks so good! & I have all the ingredients on hand! 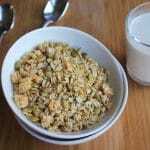 I do love my green smoothies also but this granola recipe looks so good and every so often I want a change from smoothies and this looks like the one. judy. 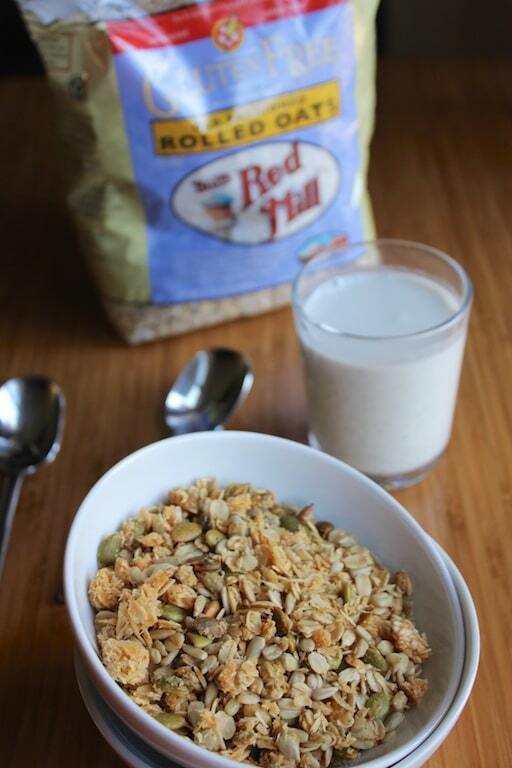 I’ve been eating a lot of granola lately and I can’t wait to add this to my list! Looks so good! I love my green smoothies in the mornings, but I like to alternate between smoothies and hot porridges every day. This porridge sounds so good!! And totally worth the time. Hello Carrie ! I just find your site here and am enamored : ) I love the simplicity of this recipe but am curious why you bake it in the oven rather than dehydrate ? 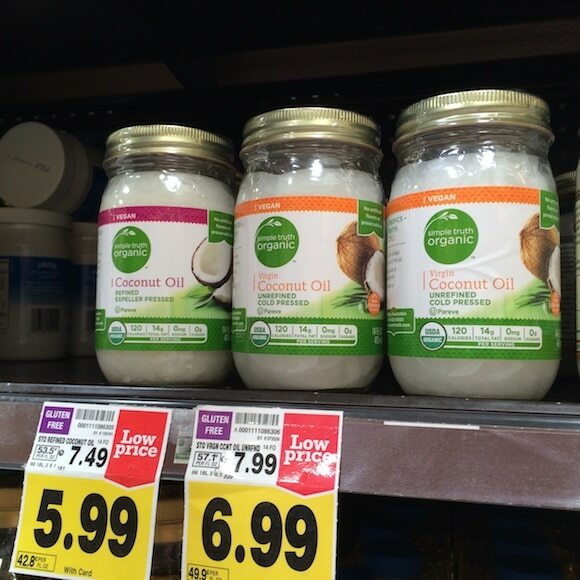 Is it to bring out the oils in the nuts ? Nice to meet you and thank you for all you do !!! Hi Jean! You could definitely dehydrate this granola, I actually never even thought about doing it that way. I mainly used the oven for time’s sake. Thanks for the sweet note and great suggestion. Also, I’d love to know how you came across my site? XOXO! Tip for you: add cinnamon! It makes it extra yummy and cinnamon is supposedly good for ya! My recipe is pretty similar and it makes the house smell so nice when it is baking. You can also go grain-free and make it with just nuts. I like almond and hazelnuts. So yummo. Love the cinnamon tip, Shoshannah! 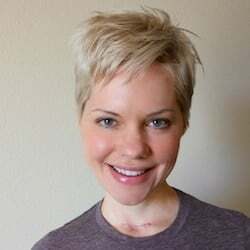 I wish you still had your food blog, especially now that I make so many paleo recipes. OR, you could come visit me and we could cook together. 🙂 Miss you!!! XOXO. 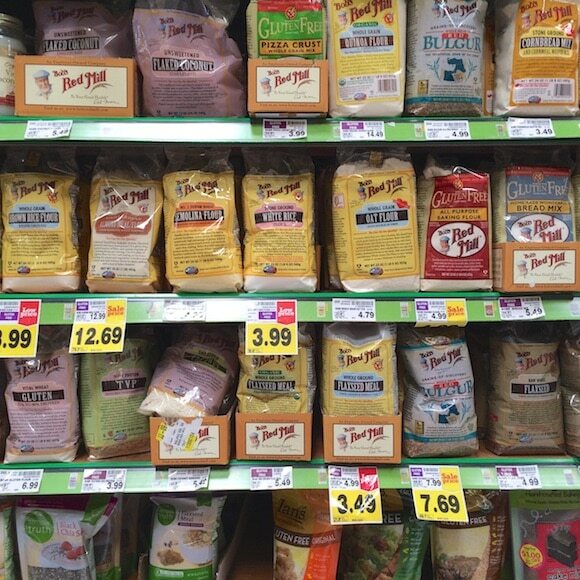 Funny how paleo eating is so much more mainstream now, I hear they sell readymade cauliflower rice at Traders. What the heck..!? I miss TJs. WAIT…you are coming to visit in January!!!!!???? Thanks for this yummy and easy-to-prepare recipe!